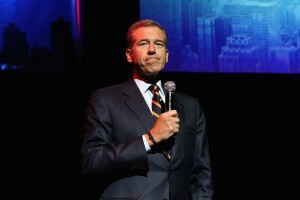 NEW YORK (AP) — NBC says it is suspending Brian Williams as Nightly News anchor and managing editor for six months without pay for misleading the public about his experiences covering the Iraq War. NBC chief executive Steve Burke said Tuesday that Williams’ actions were inexcusable and jeopardized the trust he has built up with viewers during his decade as the network’s lead anchor. But he said Williams deserved a second chance. Williams apologized last week for saying he was in a helicopter that was hit by a grenade while covering the Iraq War in 2003. Instead, he was in a group of helicopters and another was hit, and some veterans involved in the mission called him out on it. NBC News President Deborah Turness said its probe into Williams’ statements is continuing.